Reliable in the mountains: the Broad Peak Pro IN Hooded Jacket Men is an insulating jacket that offers you complete weather protection. Water rolls off the jacket thanks to the Pertex® Quantum material. Its down and feather filling keeps you warm in the cold. Pocket Weave technology weaves chambers into the material, improving its downproofing. 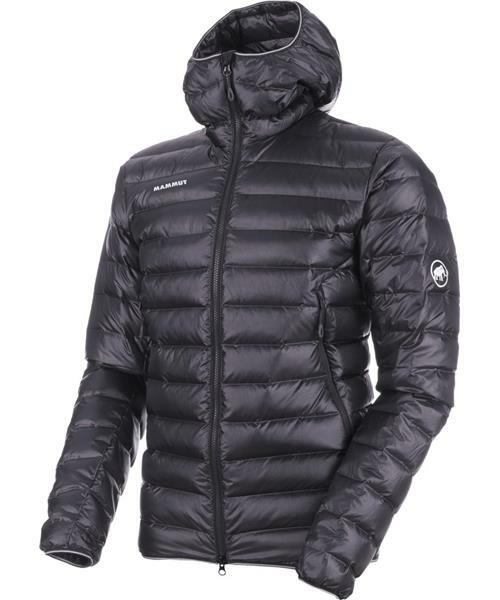 The jacket's heat retention, weight and durability are also optimized. The jacket packs up so small that you can take it off if necessary and store it away in your backpack. You are prepared for your next outing in the mountains.